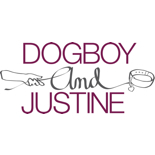 Tickets for Dogboy & Justine’s open performances (June 15, 8pm; June 16, 2pm; June 16, 8pm; June 17, 2pm) can now be purchased by visiting SmartTix.com or by calling (212) 868-4444. All Kickstarter backers should have received information about attending the invitation-only open dress rehearsals on June 13th and June 14th, but may contact treble.entendre@gmail.com in case of questions. Press and industry inqueries regarding any of the six performances should also be directed to treble.entendre@gmail.com. This entry was posted on May 28, 2012 by Racheline Maltese.